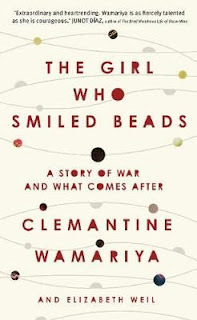 Clemantine Wamariya’s story opens in 2006. She was an 18 year-old high school student in America and was a finalist in an Oprah Winfrey essay competition. So she set off for the filming of an episode of Oprah’s show dealing with Holocaust survivor and Nobel Peace Prize winner Elie Wiesel. For Wamariya is also a survivor – in her case of the Rwandan genocide – and she had written about Wiesel’s book, Night. Wamariya attended the shoot with her sister, Claire, who, nine years older than the six year old Clemantine, had protected her through six horrific years in the refugee camps of seven African countries. By 2006 they knew their parents had also survived, but had not seen them for 12 years. With no warning, Oprah reunited the family on screen, in front of a world-wide television audience – and of course there wasn’t a dry eye in the house. Oprah had done an amazing thing, reuniting a family after years of devastation, death and loss. And she had raised awareness of a terrible event. But when I read about it, I could only see it as the commodification of grief and suffering, calculated to load the disengaged watchers with warm fuzzy feelings but shattering to those for whom it mattered. 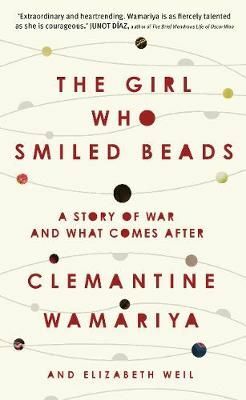 The Girl Who Smiled Beads - A Story of War and War and What comes After is partly an articulation of what that evening in a television studio meant. Wamariya says she was grateful to Oprah, of course, but goes on: “But I also felt kicked in the stomach, as though my life were some psychologist’s perverse experiment”. Wamariya tells her story with an almost unbearable honesty and a palpable anger as she describes the refugee years with Claire, a supreme survivor who was always on the hustle. In that time Claire had two children who Wamariya made it her mission to keep alive, clean and attractive – because clean attractive infants score better in the hand-to-mouth refugee existence. Once the sisters were granted refugee status in the United States, Wamariya was taken in by a genuinely good and caring family who saw to her education, so successfully that eventually she was accepted to go to Yale. But her main struggles were never going to be academic: Wamariya had to deal with people who wanted, often from the best of motives, to see her as a kind of “genocide princess”, particularly after Oprah. She tried to live up to that, but boiling away below the surface was distrust of people’s motives, learned in her years trailing around the Eastern side of Africa.